Never go to world 1-1 unprepared. This tote will keep your mushrooms and fire flowers close by while you're adventuring! When not in use, it folds into itself nicely and can be packed into the front pocket. The bag measures approximately 17-inches wide x 18-inches tall with a 10-inch handle and folds into the pocket pouch which measures approximately 6-inches x 6-inches. 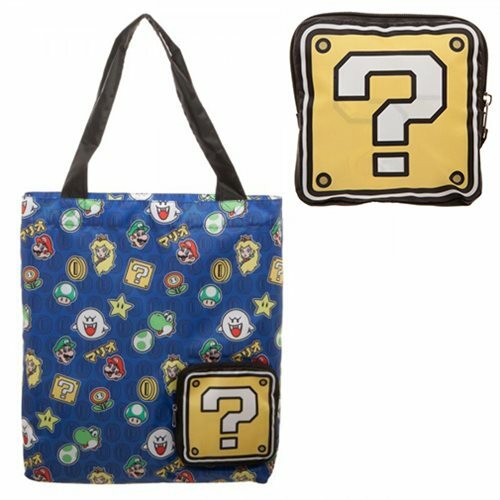 The Super Mario Bros. Packable Tote is made of lightweight poly material. Ages 14 and up.